ABUJA— Amid complaints by some Nigerians on the fidelity of the nation’s voters’ register, Nigeria Immigration Service, NIS, has vowed to stop foreigners from participating in 2019 general elections. According to the agency, only Nigerians have the right to stand for elections or pick their leaders. Comptroller-General of the service, Muhammad Babandede, made the pledge at a meeting with senior officers of Immigration in Abuja, yesterday. He said: “Extend maximum cooperation to the Independent National Electoral Commission, INEC, as we count down to the 2019 general elections through the redeployment of Immigration officers to support and complement the registration of voters and the overall electoral process. “For the avoidance of doubt, the service in 2017 alone retrieved 299 voters cards from foreigners and the INEC chairman came here to commend us for retrieving voters cards from non-Nigerians. ‘’We have to continue to do that. It is our responsibility in 2019 to ensure that non-Nigerians do not participate in the general elections. They must not vote and they must not be voted for. ‘’So, if any Nigerian has any information to share with us, let him come to us and I direct all controllers to assist INEC during registration and when voting so that non-Nigerians will not be allowed to vote. 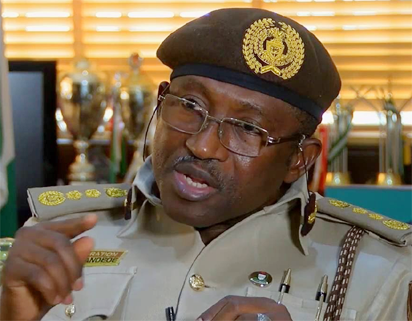 The post 2019: We won’t allow aliens contest or vote, says Immigration boss appeared first on Vanguard News.